Functional Movement Screening- Prevention is always better than cure. And what’s your potential risk for injury? The best way to treat an injury is to prevent it happening in the first place. With summer coming up and with the increase in exercise do you know if your body is at risk of injury? The functional movement screen is a reliable and valid tool to assess what level of injury risk you are at. Previous injury is a major factor in re-injury so prior to getting back into exercises or changing the load of your exercise it is important to make sure your body is ready for it. The Functional movement screen captures fundamental movements, motor control within movement patterns, and competence of basic movement uncomplicated by specific skills. It will determine areas of movement deficiency, demonstrate limitations and asymmetry. The FMS screen is comprised of seven movement tests that require a balance of mobility and stability. 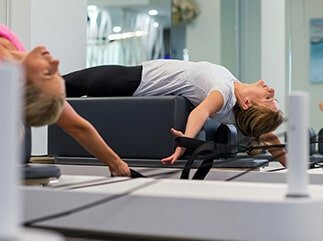 It places the client in positions where weakness, imbalances, asymmetries and limitations become noticeable by a trained health professional. Many people are able to perform a wide range of activities, yet are unable to efficiently execute the movement in the screen. Those who score poorly on the screen are using compensatory movement patterns during regular activities. If these compensations continue, sub-optimal movement patterns are reinforced, leading to poor biomechanics and possibly contributing to a future injury. The seven movement tests included are a deep squat, hurdle step, inline lunge, shoulder mobility, active SLR, trunk stability push up and rotary stability. Once the screen has been completed and scored an appropriate treatment pathway is prescribed to address the “weak links”. 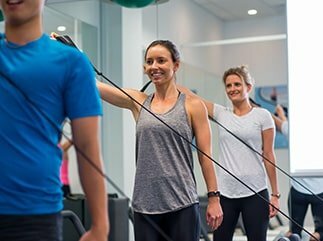 We look into mobility, stability and movement pattern exercises and retraining and prescribe you an individualised treatment plan based on your assessment findings that addresses and corrects your risk factors. Potential areas of weakness, tightness or poor control can include hamstring or low back tightness, poor ankle or hip control during movement, poor trunk rotation or strength and reduced shoulder girdle mobility. Common injuries that can results from these poor movement patterns include ankle sprains, ACL ruptures, low back and hamstring injuries, shoulder injuries and decreased athletic performance. The FMS is a reliable tool that can be used to identify individuals who are more likely to be injured. If you are interested in the FMS and assessing your injury risk prior to increasing your exercises coming into summer book in to see Rebecca at SquareOne Physiotherapy. Rebecca is more than happy to answer any questions over the phone prior to making an appointment. Look out for more articles from Rebecca on musculoskeletal screening, injury prevention and performance enhancement.